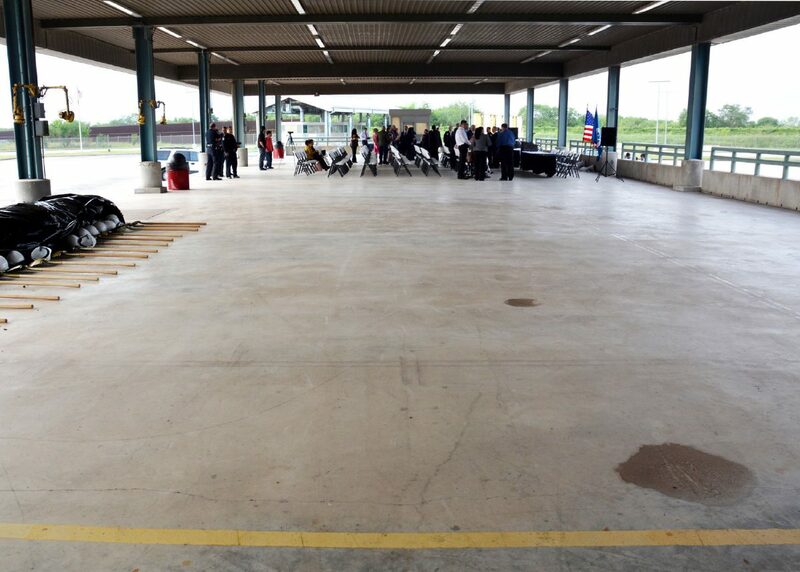 The new cold storage inspection facility at the Free Trade Bridge at Los Indios was dedicated in March. The new facility will allow Mexican truckers an alternative to the similar inspection facility at the Pharr-Reynosa International Bridge. The new facility is the culmination of about two years of work by local, state and federal officials. HARLINGEN — The last snag for the cold storage facility at the Free Trade International Bridge at Los Indios has been resolved. A license for construction finally was issued after a power easement was granted. The license means the construction process, which will take three to four months, can finally begin after eight months in bureaucratic limbo. “We have a license to construct the facility on federal property,” said Raudel Garza, manager and CEO of the Harlingen Economic Development Corp. He said a pre-construction meeting had already been held since the license was obtained. The cold storage facility at the Los Indios bridge will enhance Rio Grande Valley border crossings when it comes to Mexican produce coming into the United States. Presently, the crossing at Pharr is the busiest when it comes to produce shipments, but the addition of a cold storage inspection facility at Los Indios may make it an attractive option for produce shippers. A cold storage inspection facility like the one to be built at the Los Indios crossing helps keep produce at optimum temperatures and thus maximizes shelf life for perishable vegetables and fruits. The new facility will have three docks where produce trucks can pull up and back into refrigerated space for secondary inspections upon entering the country. When they open the truck doors for inspectors, the cold chain on the produce inside the truck will remain intact. Garza said by early next year the new cold storage facility should be operational. The Free Trade International Bridge at Los Indios is jointly owned. Cameron County owns 50 percent while Harlingen and San Bentio each own 25 percent. It generates more than $2 million in tolls and fees each year. Garza said commencing construction allows the HEDC and other Rio Grande Valley officials to begin marketing the bridge at Los Indios as an attractive option to Pharr and other border crossings for produce haulers coming from Mexico. “It’s starting to get some buzz, and it’s just perfect timing because we’re going to go to New Orleans with the Texas International Produce Association to promote the bridge, to promote the capabilities at the bridge site and talk up Harlingen and Los Indios as much as we can,” Garza said. The Produce Marketing Association’s Fresh Summit 2017 will be held in New Orleans later this month.